Daisy Fisher, 102, was born December 12, 1916 in Des Moines, Iowa. 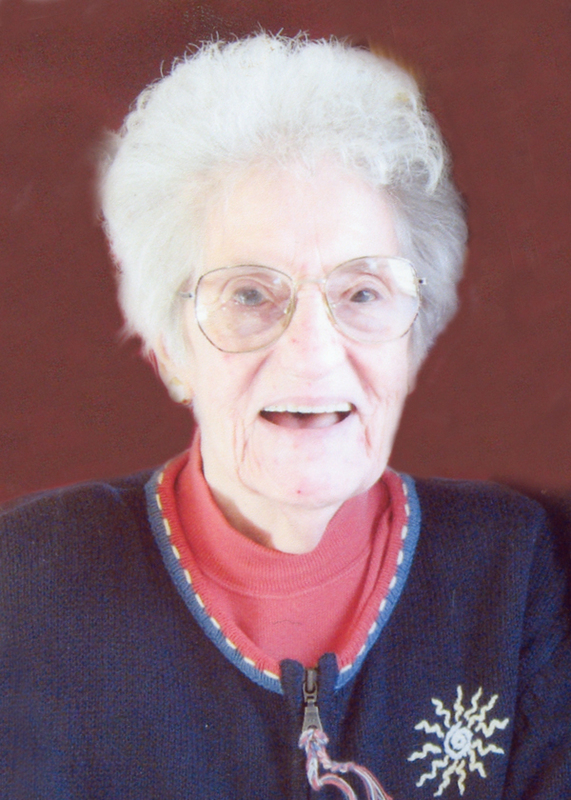 She passed away peacefully surrounded by her loving family on April 9, 2019. Visitation will be held from 3:00 to 5:00 p.m., with Rosary at 5:00 p.m., Sunday, April 14, 2019 at Hamilton’s Funeral Home, 605 Lyon Street, Des Moines. Mass of Christian Burial will take place at 10:00 a.m. Monday, April 15, 2019 at St. Anthony’s Catholic Church, 15 Indianola Avenue, Des Moines, followed by burial at Glendale Cemetery. Daisy retired from State of Iowa Dept. of Public Safety. She was a longtime member of St. Anthony’s Catholic Church. Daisy enjoyed camping with the Wagoner’s Club, spending time at the Casino, cooking for a holiday family meal, and crocheting. Above all else, she cherished the time spent with her family and especially her grandchildren. Daisy is survived by her daughter, Donna Bell (Ted); son, Thomas Fisher (Linda); two brothers; three grandchildren, Suzanne, Mark, and Kori Jo; six great-grandchildren; and two great-great-grandchildren. She was preceded in death by her loving husband, John W. Fisher; and five siblings. Memorial contributions may be directed to St. Anthony’s Catholic Church in her memory.